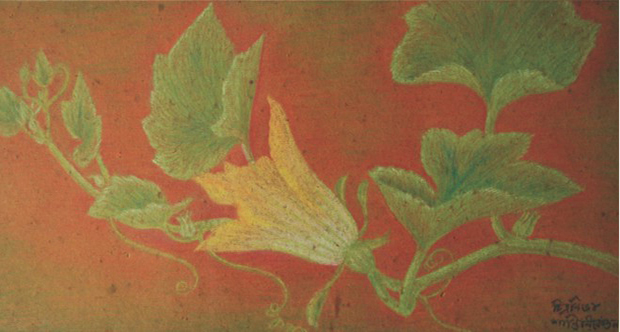 Chitranibha Chowdhury was the first woman artist of Bangladesh. If she had lived, she would be a hundred years old on December 13. She was given the nickname Nibha Noni by Rabindranath Tagore who recognised her immense talent. She was born in 1913 in Chandpur. Since she was still a schoolgirl, Chitranibha’s painting talent earned her fame in the neighbourhood. At the time, a Noakhali politician, Monoranjan Chowdhury — leader of the Swadeshi Andolan in that area — visited Chandpur, and was impressed by the wedding “piri” painted by her. He asked about the identity of the painter and was able to meet her. He was inspired equally by her skill and knowledge of music and literature. It so happened that they were searching for a suitable bride for his younger brother. He advanced the marriage proposal to her parents, and promised to send her to Shantiniketan to study art. Coming to Dhaka, her brother-in-law Professor J.K Chowdhury of the DU Chemistry Dept. asked her to create a mural in his house at 12 Topkhana Road, Shegunbagicha. After the partition of 1947, this house passed into the ownership of Tafazzal Ali, father of Reza Ali, whose wife is the well-known singer Naima Ali. They renovated the building but preserved the painting. Unfortunately though, famous painters like Qamrul Hassan and Zainul Abedin visited that house, but they did not notice or give their feedback about the painting, and the painting, a milestone in contemporary art, went unrecognised. The painting was destroyed three years ago when the house was sold and the artwork was painted over. Recently, an original drawing on paper of this mural and some photographs of this work has been discovered, portraying rural life. Her other pictures were preserved by her daughter, a renowned Rabindra Sangeet artiste, Chitralekha Chowdury, some of which were painted at Noakhali, the home of her in-laws. For many years, Chitranibha Chowdhury stayed at Noakhali from 1937. There she opened a school of handicrafts and artwork for aged women. Chitranibha’s contribution to Bengal is enormous. She was a singer, artist and social activist. She died in her home in Kolkata in 1999. Although she is an important figure in the history of contemporary art, she has not got the recognition that is rightfully hers.